Here comes a fresh new month, September. New month means new beginnings, new hopes and new enthusiasm. So, what new things you need to start to bring bliss and achievements this month? 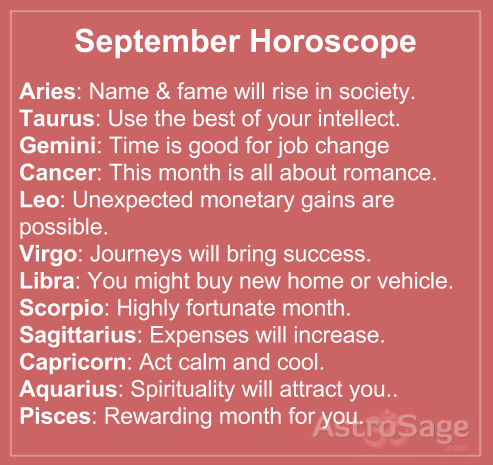 Get the right advice with September’s monthly horoscope.